By mapping the genes of a hybrid sparrow, scientists are starting to understand one way new species can be created. 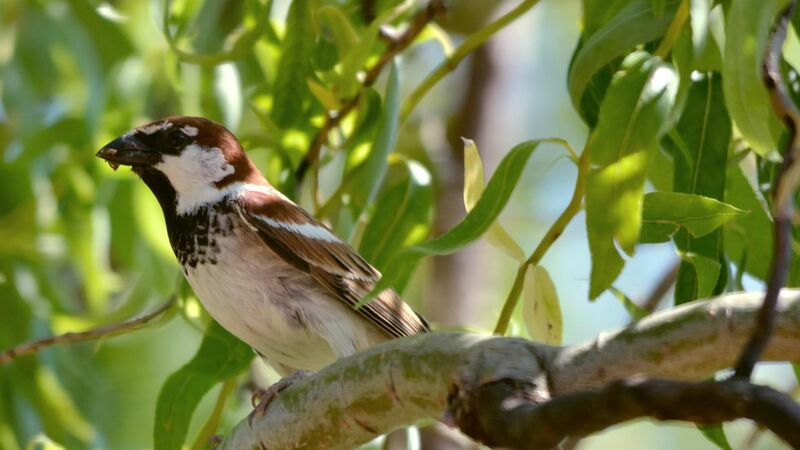 What they did: The Italian sparrow, which was shown to be its own species in 2011, is the result of crosses between Spanish and house sparrows. In a paper published Wednesday in the journal Science Advances, researchers sequenced the genes of Italian sparrows, and compared them to house and Spanish sparrows. The researchers believe that hybridization could be a key driver of speciation and biodiversity. Why this matters: Speciation occurs when individuals from two groups no longer breed. This can happen for a number of reasons, including the environment, behavioral differences and genetic differences. Sometimes, mating between two species can create a new, third animal that doesn't interbreed with either parent species. It's unclear how common this is. Some similarities: The researchers found that Italian sparrows get about two-thirds of their genome from house sparrows, and one third from Spanish sparrows. This isn't surprising, because Italian sparrows are behaviorally more similar to house sparrows, and occasionally interbreed with them. And some differences: The researchers flagged areas of the genome where the hybrid's genes differed strongly from both parent species. These regions could indicate ways the sparrows were evolving away from both parents. For example, the genes that control skull shape and beak size are unique in Italian sparrows. Since diet influences habitat and behavior, changes in beak shape could trigger speciation. The scientists highlighted genes that control for plumage. The quality and color of a bird's plumage is an important part of bird mate choice, and could prevent Italian sparrows from mating with Spanish or house sparrows. , and could be a mechanism for speciation. Hybrid offspring preferred one parent species' song over the other.